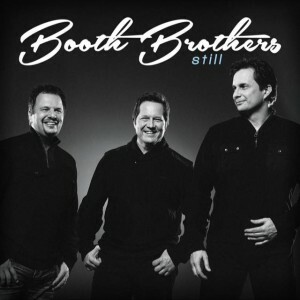 Still is the latest release by one of gospel music’s most outstanding trios, the Booth Brothers, and is their first including baritone Paul Lancaster, who replaced 12-year mainstay Jim Brady. Even with a new member in tow, this recording still finds the Booths applying their trademark tight harmonies to quality songs in a variety of styles. 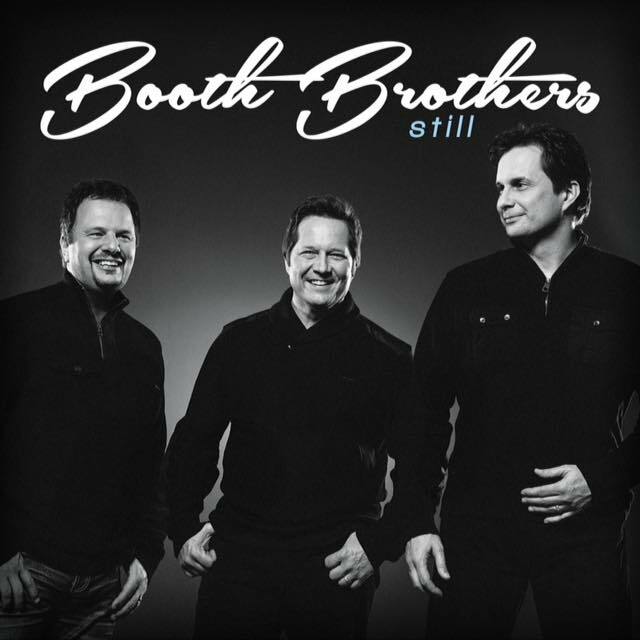 Any fans who may have been concerned about the group losing ground after a rare personnel change have a resounding answer with Still: the Booth Brothers are as good as or better than ever. My first exposure to songs on Still was hearing eight of them live on the Gospel Music Celebration Caribbean Cruise a couple of weeks ago. To hear songs for the first time live, instead of on a CD, is quite a rarity for me, and I’m very glad that was the case for this album, especially since the Booths are such gifted live performers. I will forever associate the album’s opener, “Faith Keeps Walking,” with the cruise, because I remember thinking when I heard it how well it fit the atmosphere. With an easy, mellow groove, and water-themed lyrics, it just sounds like good “beach music”. This track is quintessential ultra-smooth Booth Brothers all the way and one of my favorites on the disc. Speaking of memorable live performances, that opener is followed by a cover of the quartet classic, “Happy Rhythm”. Honestly, I’ve always felt the song was a little dumb and not one of my favorites, but it gets a totally new treatment here. Instead of the standard bass boogie, it is given a big band sound, and moves at a frenetic and exciting pace. This version keeps the listener on his toes throughout, and is now my favorite version of the song. Another high-energy number is found near the end of the album. “Down by the River” is a hard-driving call-and-response song featuring Ronnie that was quite a treat live. On the recording, the energy doesn’t quite come through as much for me. Of course, the Booth Brothers are known as much for their quiet deliveries of meaningful lyrics as they are for their energy, and there are a couple of great examples of that on Still as well. The title track stays quiet and contemplative throughout, and contains a beautiful message on the enduring faithfulness of God. I love this touching sequence of lines in the chorus: “His plans could never fail, not even one detail, His purpose will prevail”. Another poignant standout, “Wildflower” is a Rebecca Peck composition written for Michael’s wife, Vicki, and is his primary vocal feature on the album. The specific message of the song is obviously deeply personal and may not apply to every listener, but every Christian can draw inspiration from lyrics about God’s tender care for his children, even when all else have forsaken. You can always count on the Booth Brothers to include very strong Biblical lyrics in every recording and live program. One of the finest examples on Still is “I Am the Word,” an energetic anthem set to a stirring Lari Goss track, with a message on the sovereignty of the incarnate Word of God. When I saw it live, Michael set it up by reading Scripture, and it was a memorable moment for sure. As you know, I’m a big time traditional and quartet guy. Still is not traditional, and it’s certainly not quartet. But is a collection of outstanding songs, performed expertly by some of the best in the business. Still is a must-have for the gospel music fan in 2015 and beyond.